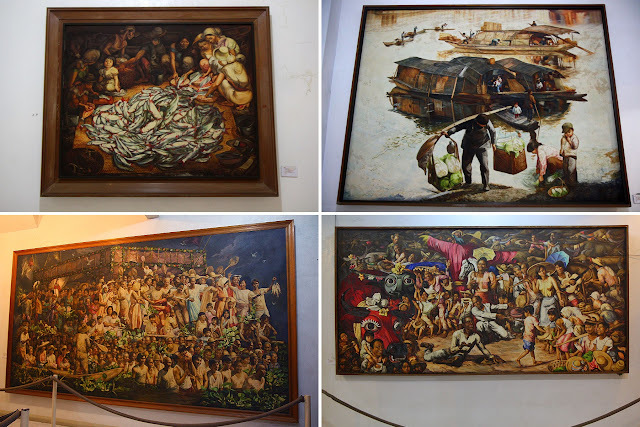 Angono, a municipality in the province of Rizal, is home to a bevy of artists...from the millennia-ago-then to the here-and-now. 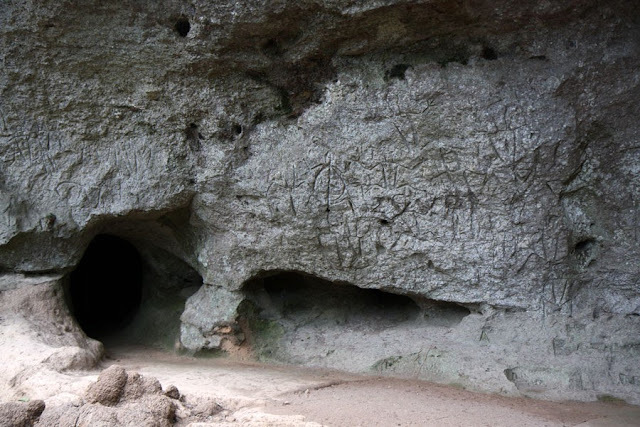 The artists from millennia ago drew, or rather, engraved on rock and their artworks can be found at Binangonan (it is officially part of the municipality of Binangonan but access roads are through Angono). 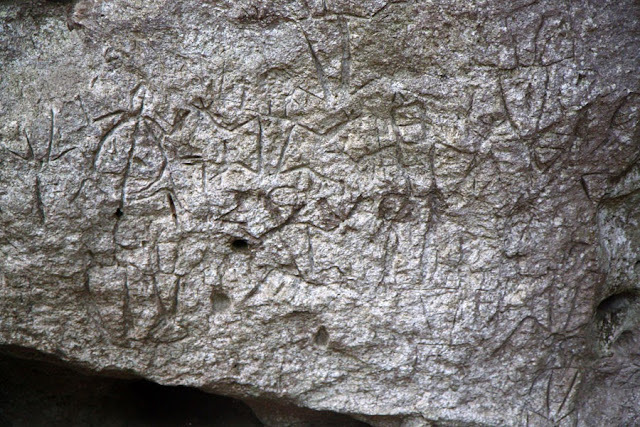 The Angono-Binangonan Petroglyphs is said to be the Philippines' oldest artworks, dating to 3000 BC. These 127 figures carved on a rock shelter were discovered in 1965 by Carlos "Botong" Francisco. After the discovery, a research team also discovered tools and earthenware. The tools and earthenware are now housed at the National Museum in Manila. I am glad the government has taken steps to help protect these petroglyphs. A view deck has been constructed so visitors can view the ancient artworks from afar (thus protect the site from vandals; a security guard is also stationed at the site). 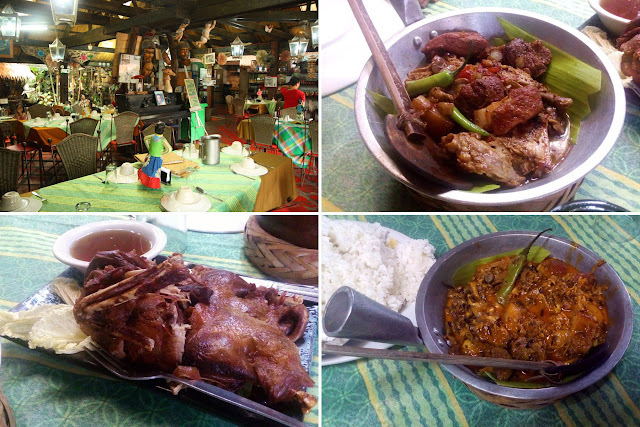 Balaw Balaw Restaurant offers exotic dishes such as beetle larvae, frog, crickets, ants, flowers, cow balls, deer, wild boar, and duck eggs. I was willing to try the ants, but none of the group was up for chewing ants, so we just went for good old pork and chicken adobo, puso sa saging (banana blossoms), and fried itik (duck). All of which were pretty good (I especially liked the puso sa saging, and fried itik), but a bit pricey. 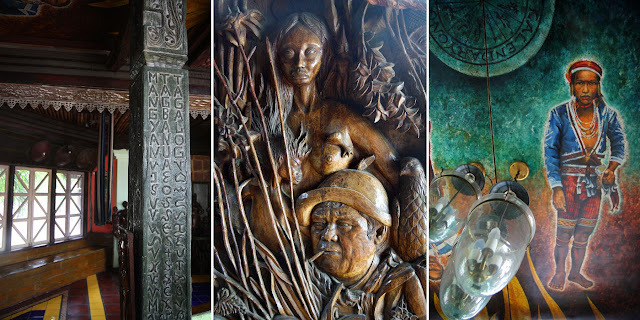 Wooden carvings, papier-mâché figures, and paintings are found around the restaurant. And more of these are found at the second floor of Balaw Balaw which serves solely as an art gallery. 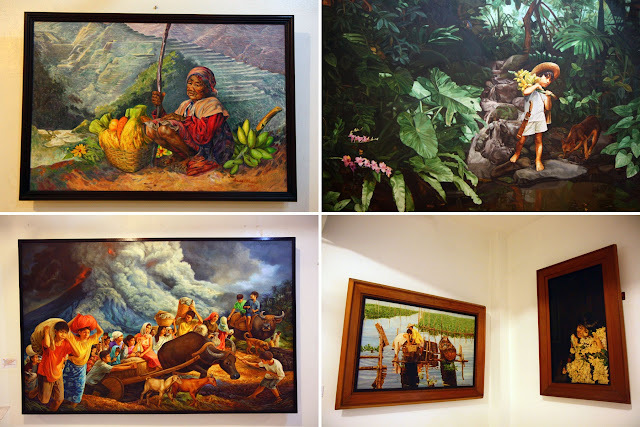 There are about a hundred paintings by the late Perdigon Vocalan, the owner of Balaw Balaw Restaurant and Art Gallery. 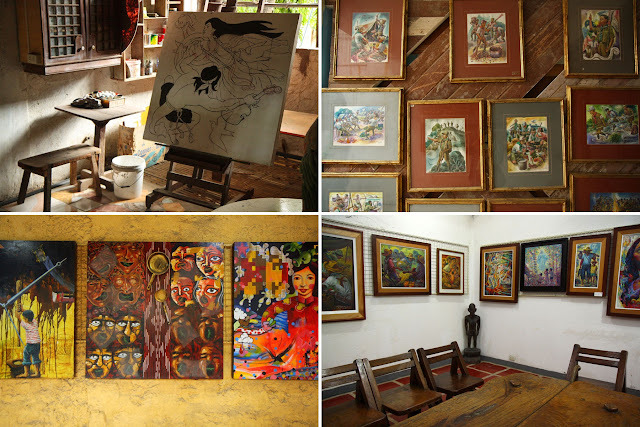 Nemiranda Art House is another art space just a few paces from Balaw Balaw Restaurant. 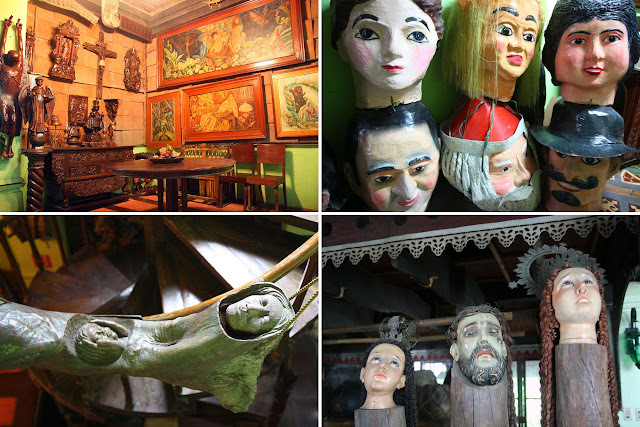 Like Balaw Balaw, Nemiranda is also a restaurant and gallery. The front area is the restaurant and the back area is the art space for Nemesio R. Miranda Jr.'s sculptures and paintings. Restaurant patrons can check out the art house for free; non-patrons need to pay the admission fee of Php20. 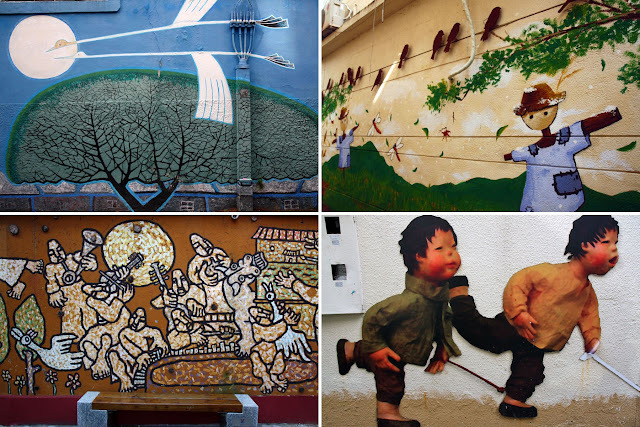 Look around and try to spot the bird in each of Mr. Miranda's artworks! 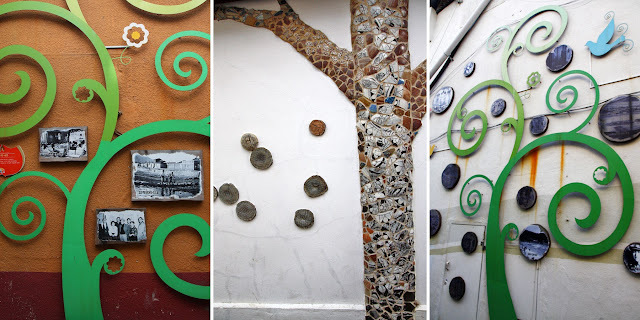 In honor of the National Artist, Carlos "Botong" Francisco, the walls along the street of Doña Aurora are adorned with reliefs of Carlos "Botong" Francisco's paintings. These reliefs were created by local sculptors. The narrow one-way street is best admired on foot. The Blanco Family Museum is an amazing gallery of paintings from every member of the Blanco family. Yes, every family member! Jose "Pitok" Blanco, the head of the family; Loreto, his wife; and his seven children (from oldest to youngest): Glenn, Noel, Michael, Joy, Jan, Gay, and Peter Paul...all artists! Within the walls of the museum is an astounding collection of art done by the Blanco family over the years. 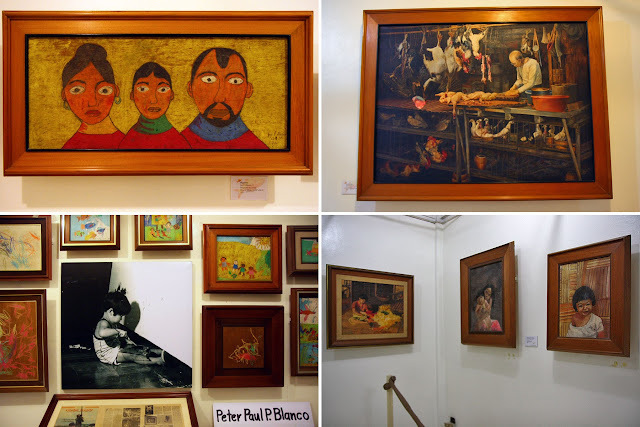 One can clearly see the impressive development of their talent, especially of the Blanco children: From kiddie oil pastel drawings done at the age of 3 to beautiful, minute-detailed oil paintings as they grew older. And it's also a wonder that Mrs Loreto Blanco started painting at the age of 48! Jose "Pitok" Blanco died in 2008, at the age of 76. The children, all now grown (the youngest now 36), are all still practicing their art. Paintings by Jose V. Blanco. Bottom left is his 8' x 15' masterpiece "Angono Town Fiesta"
GPSmyCity is a free travel app for iOS (Android users, please be patient, it is currently under development), containing thousands of articles (and growing!) about hundreds of cities all over the world. You could call it a one-stop-app for your travel research needs. Stumped on where to go? 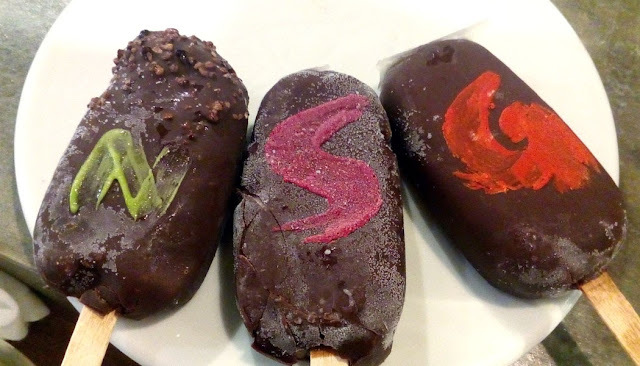 Wondering what (and where) to eat? GPSmyCity will have suggestions right at your fingertips. Download the app, search for the city of interest, click on an article that strikes your fancy. If you want to review these articles later on, these articles can be downloaded for free for offline viewing. And for an upgrade fee of US$1.99, you can access the GPS-aided maps, which for any traveler would be a godsend. The places mentioned in the article would be pinned on the detailed map, tour routes would be displayed, and turn-by-turn directions between places would be provided. With this app and the map upgrade, you can do away with paper maps and not worry about finding yourself in the middle of nowhere. So why am I writing about GPSmyCity again? 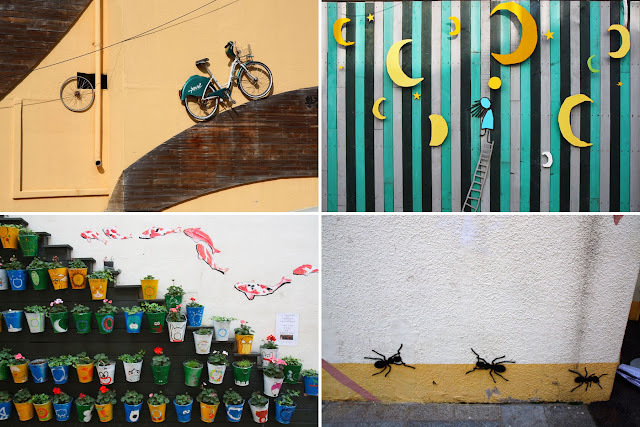 Because a bunch of my blogposts have been chosen by the GPSmyCity Team to be published on the app. And to celebrate, upgrades for the following articles will be given away for FREE from September 26 to October 2! 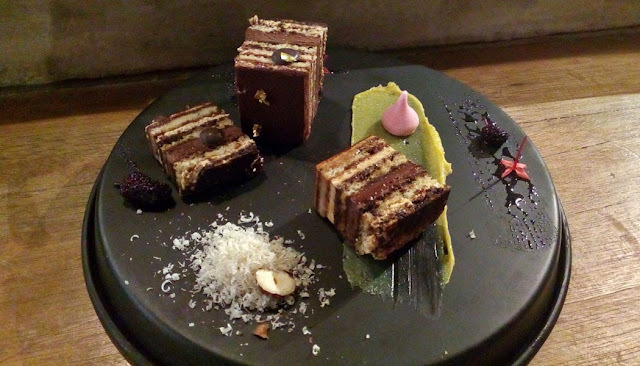 I advise you NOT to follow Bocas Modern Patisserie's facebook page because you will be tempted to run to Bocas every time you check your facebook feed. That's what happened to me. I visited twice in one week! But now that my blood sugar level is above normal, I have decided to cut down my visits...to just once a week! 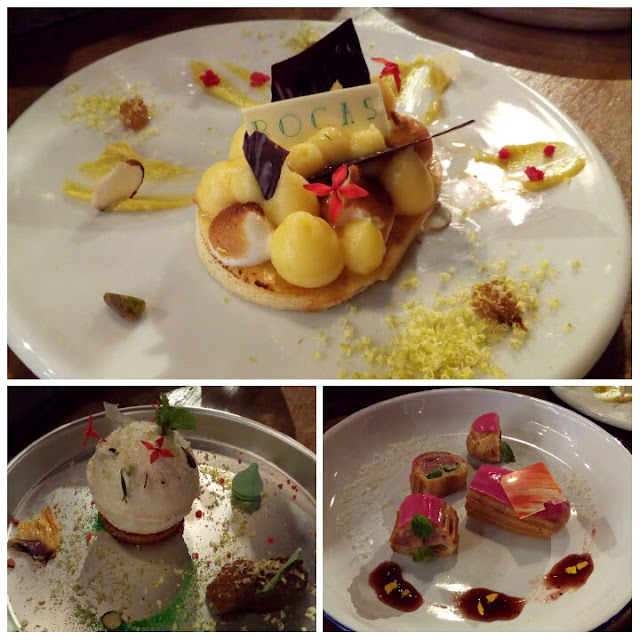 Now I am content with admiring (and restraining myself from licking) these drool worthy pastry photos while counting down to my next Bocas visit. 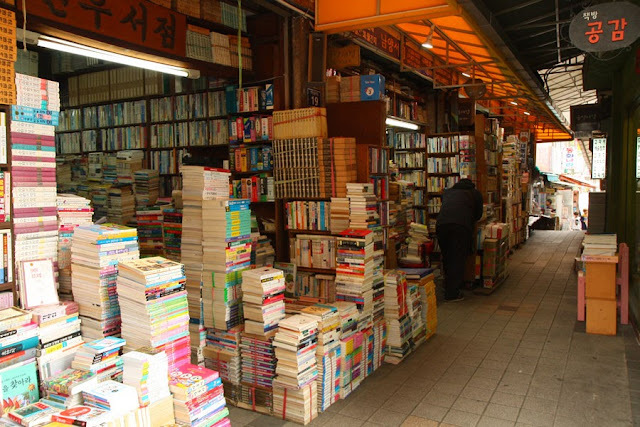 Not in the library, but at Bosu-dong Book Street (보수동 책방골목). 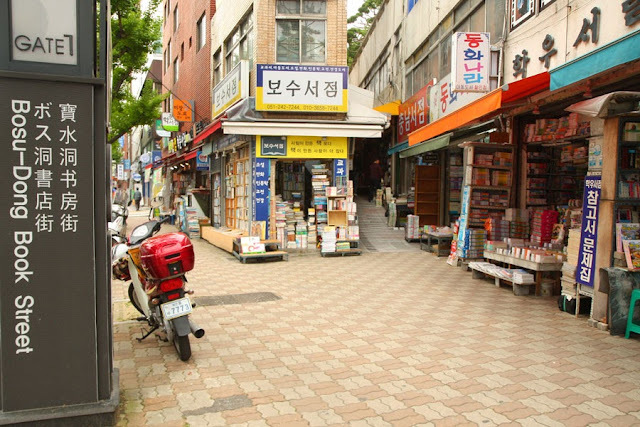 The Book Street came about when, after Korea gained independence, the locals started selling the books the Japanese left behind. Over the years, secondhand bookshops sprouted along the street. I knew most of the books at Bosu-dong Book Street would be in Korean. But books, in whatever language, are my weakness. I strolled along the book street (which was more of an alley) and marveled at the tall piles of books, scanning spines to see if there were any English books (there were a few). 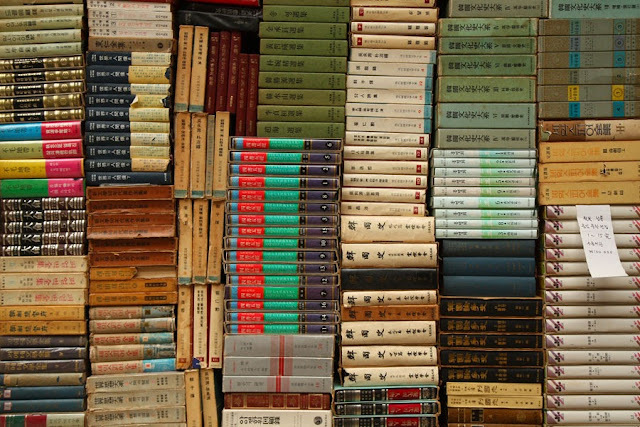 If I only knew how to read Korean, I would have gladly let the walls of books that have overflowed beyond each store's perimeter swallow me alive. Take Busan Subway Line 1 to Jagalchi Station, Exit 7. Take a left immediately at Junggu-ro. Follow Junggu-ro for about 600m until you reach Daechong-ro. Cross Daechong-ro and you will find Bosu-dong Book Street (or more appropriately, alley) to your left. 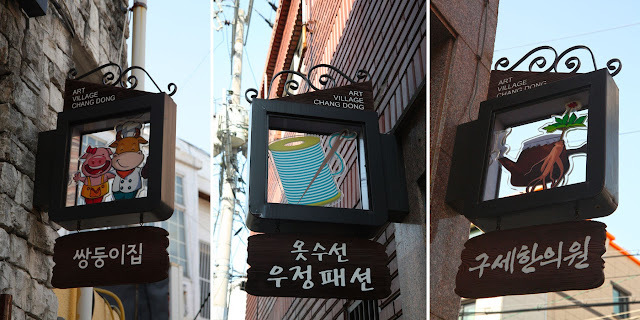 On Google Maps, the street/alley is labeled as Chaekbanggolmok-gil. Take Busan Subway Line 1 to Jungang Station, Exit 7. 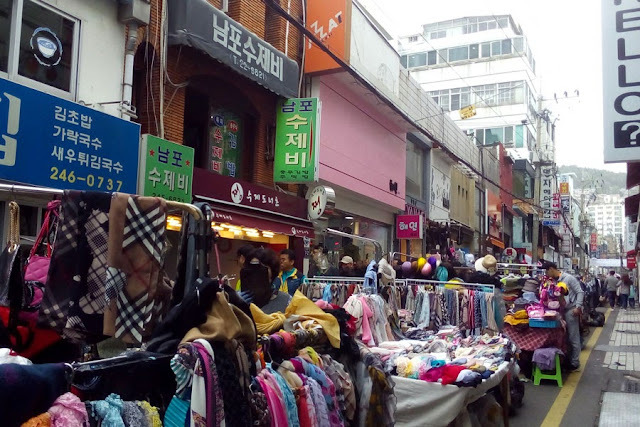 Walk straight for about 800m until you see Bosu-dong Book Street right in front of you. 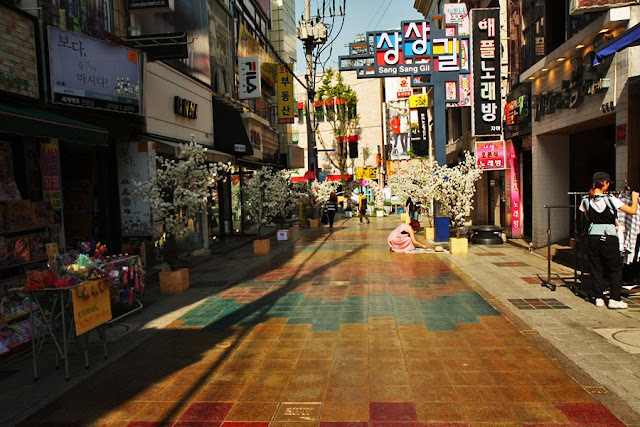 On Google Maps, the street/alley is labeled as Chaekbanggolmok-gil. 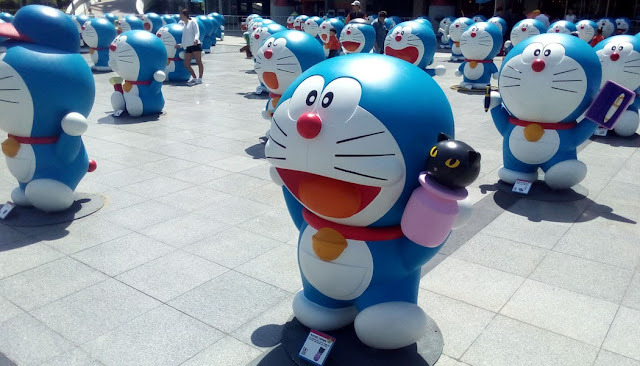 I don't read Doraemon comics nor watch the cartoon series. I just think the round-headed cartoon robot cat is adorable. 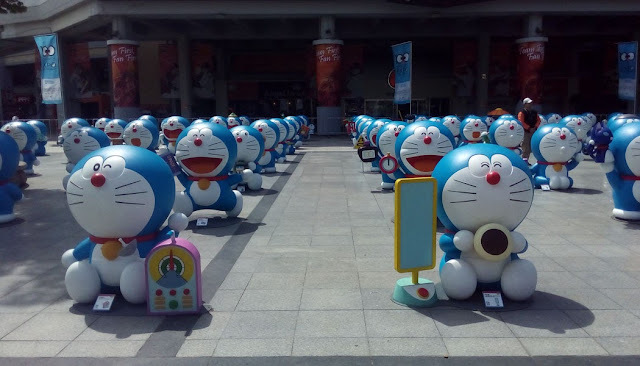 When I found out through Dynamic Busan's facebook page that there was an exhibit of a hundred Doraemons at Sajik Baseball Stadium, I went to say a hundred hellos to them. The exhibit might have ended but if you're a fan of baseball and are visiting during baseball season, you might want to go see a game. Sajik Baseball Stadium is the home of the Lotte Giants, Busan's baseball team. The baseball stadium is part of Busan Sports Complex, which includes a main stadium (a multi-purpose venue which holds various local and international events), an indoor gymnasium, and an indoor swimming pool. Directions to Sajik Baseball Stadium: Take Busan Subway Line 3 to Sajik Station, Exit 1. Walk straight along Asiad-daero, then turn right at Sajik-ro. Walk about 400m; Sajik Baseball Stadium will be on your left. 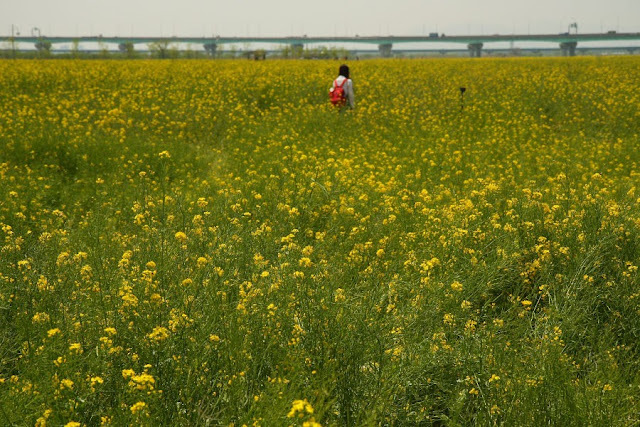 I made like a bee and buzzed towards Daejeo Ecological Park (대저생태공윈) where a wide wide wide field of canola flowers was shining in the sun. The canola flowers were in full bloom mid April. In September, the cosmos flowers take over. Daejeo Ecological Park also has a bamboo grove off to the side. 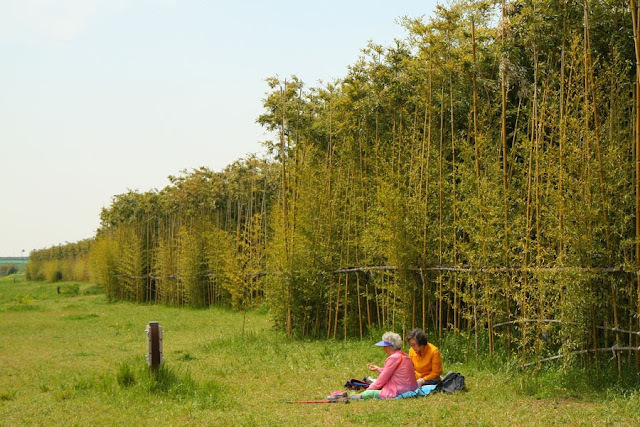 There are walking paths around the park, around the field, and through the bamboo grove. The park is huge that there are bikes for rent. 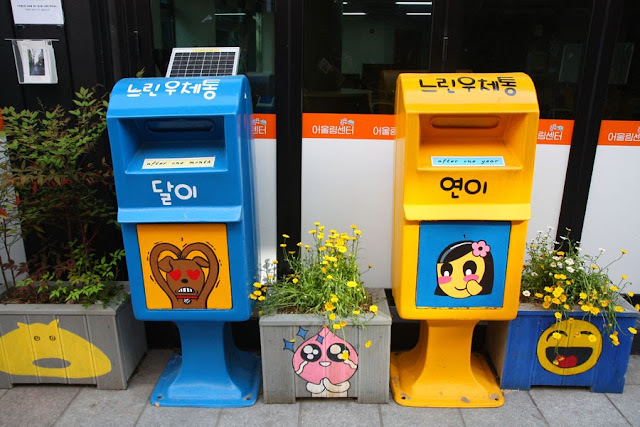 Directions to Daejeo Ecological Park: Take Busan Subway Line 3 to Gangseo-gu Office Station, exit 1. Walk about 200m to the park. Yongdusan Park (용두산 공원) is on Yongdu Mountain ("san" means mountain) in the bustling downtown (Jung-gu or Jung district) of Busan. Being on top of a mountain, I had to climb four flights of stairs. Ha! I took the easy way up via four flights of escalators. 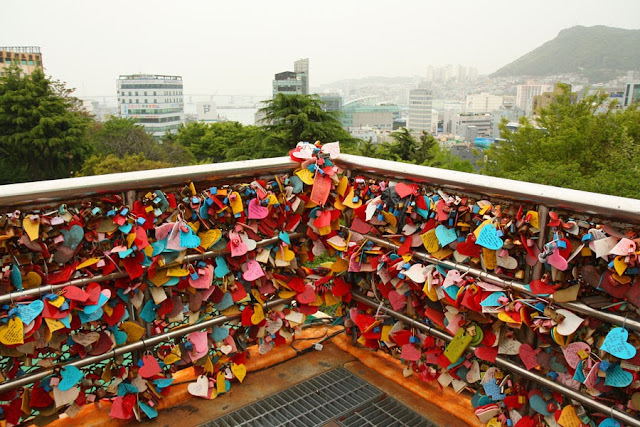 In the park, there is a 5-meter wide flower clock, a pavilion, a huge bell, monuments depicting important events in the country, a few shops, an abundance of love locks, and Busan Tower (where for KRW 4,000 one can go up the observation deck for a 360-degree view of Busan). Directions to Yongdusan Park: Take Busan Subway Line 1 to Nampo Station, Exit 1. 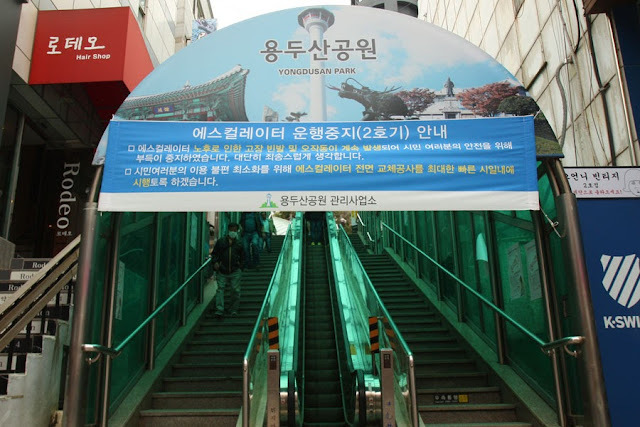 Walk about 10 minutes to Gwangbok-ro 77beon-gil to find the escalators to the park. Directions to Nampo-dong: Take Busan Subway Line 1 to Nampo Station. 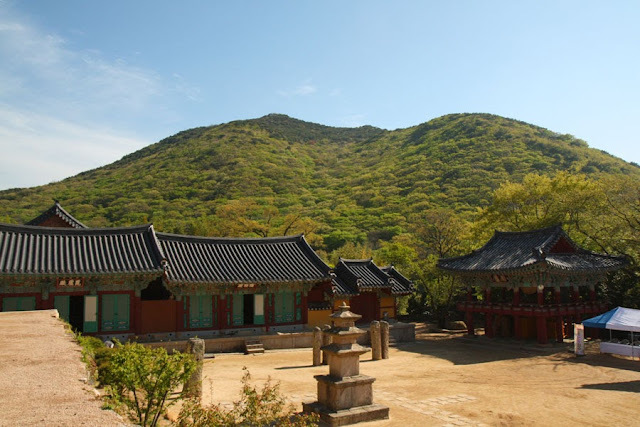 While researching for sights to see in Busan, two temples would often come up: Haedong Yonggungsa Temple and Beomeosa Temple. I had visited Haedong Yonggungsa Temple in 2014, so this time it was Beomeosa Temple that I paid a visit to. 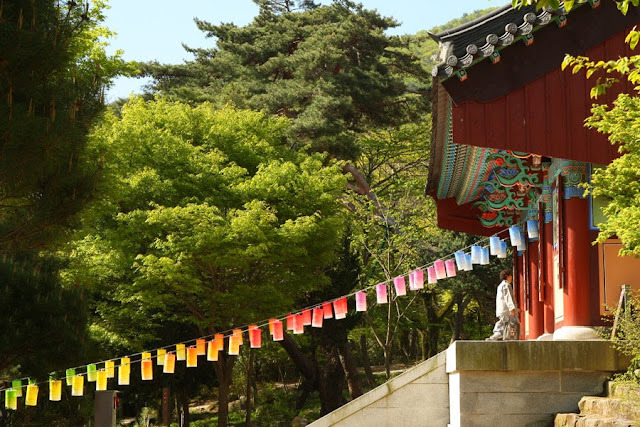 Beomeosa Temple is located at Geumjeong mountain in the northern part of Busan, quite a long way from where I was staying—a 40–minute subway ride then a bus ride and an uphill hike to the temple. But it was worth it. You might think if you've seen one temple, you've seen it all. Maybe so. But there was something about Beomeosa that made me think otherwise. Maybe it's the fact that Beomeosa Temple was built in 678 (and destroyed in 1592 then renovated in 1713). Maybe it's the colorful lanterns they have hung in preparation for Buddha's birthday. Maybe it's the one–pillared gate called Jogyemun (Treasure No 1416) that greeted me at the temple entrance. Maybe it's all the other Treasures around the temple: the three–story stone pagoda, the Daeungjeon Hall, and the three slightly smiling Buddhas. Maybe it's the detailed paintings on the temple buildings. Maybe it's the peace and quiet. Maybe it's the backdrop of beautiful clear blue sky and green mountains. Maybe it's all these. Yes, it's all these that made me glad I came to visit Beomeosa Temple. Tip: If you want to experience staying in a temple, Beomeosa Temple has a weekend temple stay program where you can stay a night at the temple, attend Buddhist services and meditation, make prayer beads, eat monastic meals, and have tea with a monk. Take Busan Subway Line 1 to Beomeosa Station, Exit 5 or 7. 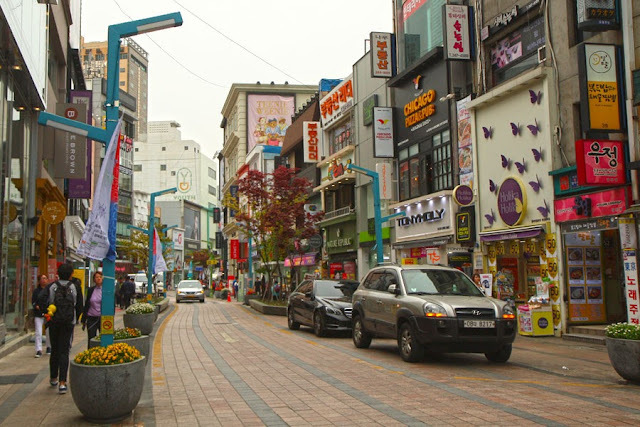 Walk along Cheongnyongyejeon-ro for about 5 minutes until you reach the bus terminal. Take Bus 90 to Beomeosa Temple. Going back to the station, you don't have to cross the street to ride the bus again; the road around Beomeosa is one way. I spent my last two nights in South Korea in Busan. I was going to book a bed at Mr Egg Hostel (Nampo), the same place I stayed in in 2014, but El Cheapo here could not resist a KRW 12,250 (about Php 525) bed. I found Sum Guesthouse Garosugil in Booking.com and could not believe such a cheap rate (cheap for South Korea, because from the hours...days...I spent scouring the internet for accommodations, I found that a dorm bed would cost an equivalent of Php 700 and up). I checked the photos—good enough for me; location—Nampo; and reviews—none. There were no reviews because it was new, opening just a month before my trip. Reviews are important, but it's new, and I'm giving it a chance. And I am glad I did. Why? Location. 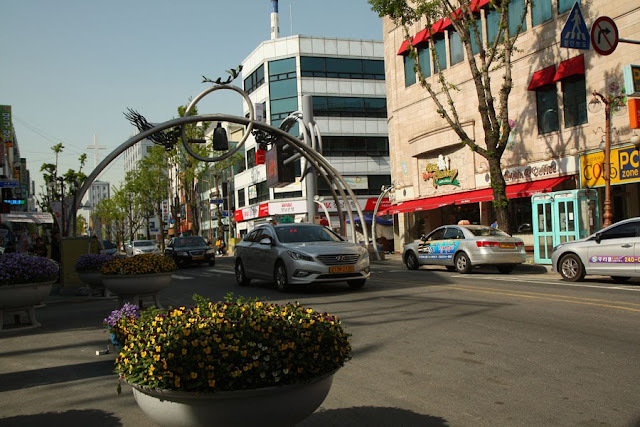 Sum Guesthouse Garosugil is just a minute walk from Exit 1 of Jungang Station. From the guesthouse, my feet could take me to Nampo-dong, BIFF Square, Yongdusan Park, Jagalchi Market, Gukje Market, 40gyedan-gil, Lotte Mart, and Bosu-dong Book Street in just a few minutes. Cleanliness. The rooms, shower rooms, and toilets are cleaned every day. Value for Money. For just KRW 12,250 I got me a clean bed. Plus a towel (to be returned, of course), shampoo, soap, bath foam, and ear plugs. Plus breakfast. Privacy. 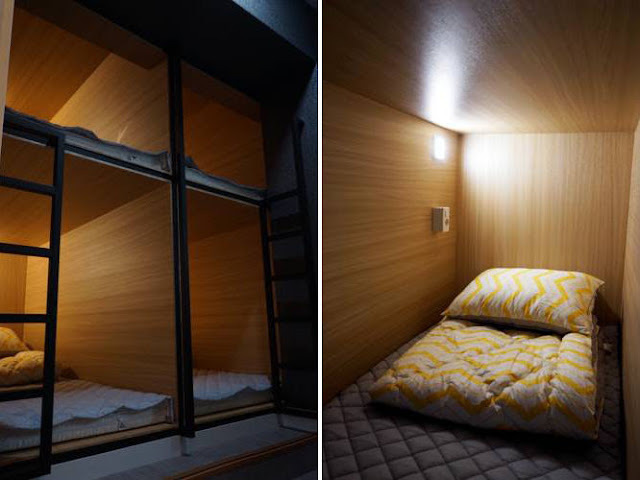 Although they only have dorm beds, the beds are capsule-type, not the usual bunk beds. And each capsule had a roller shade for privacy. There are 4-bed dorms and 8-bed dorms. Breakfast. Not your usual breakfast of cereal, bread, jam, butter, coffee, juice. 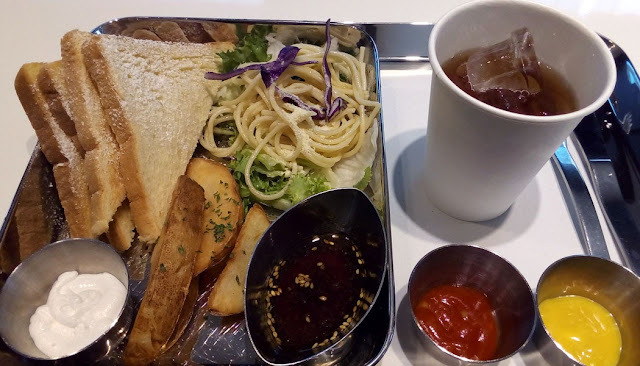 But a nice plate of potatoes, pasta, toasted bread, and juice. I know it's all carbs but I was pleasantly surprised by their breakfast. WiFi. Everyone needs it, right? Keyless Entry. You don't have to worry about losing keys. Just don't forget the PIN. Friendly Staff. Plus they can speak English well. Luggage Storage. If you have to check out but your flight isn't 'til later, you can leave your luggage at Sum Cafe on the ground floor. Claustrophobic. Remember, these are capsules. Xenophobic. Afraid of strangers? These are dorms. You will be in a room full of strangers. Acrophobic. If you get assigned the upper bunk, don't worry, it's not high. But getting up and down the narrow and absolutely vertical ladder can be a pain. Early risers. Breakfast is served from 9AM to 12NN. Hi-tech travelers. Can't live without your smartphone, laptop, camera, tablet, and other gadgets? Bring an extension cord. There is only one outlet per capsule. Over packers. Well, not necessarily, but this warning is for those who have big bags or have many bags. There are lockers in the room (with keys), but the locker can only fit a small backpack. There is a bit of space though, between the door/wall and the capsules, where you can leave your bags. But if all four people have big bags, it will be a bit of a squeeze. Directions: Take Busan Subway Line 1 to Jungang Station, Exit 1. From Exit 1, turn around and go the other way. Turn left at the corner. The guesthouse will be above Sum Cafe. Note regarding check-in: Check-in is from 4PM to 10PM. Check in will be at Sum Cafe, which is not open 24 hours. Sum Cafe is on the ground floor; a different door from the guesthouse. If you arrive early, you can leave your bags at the Cafe. I made my mark in South Korea! A section of Dongseobuk 10-gil is tiled with 23,000 names of people from all over the world, mine included! Changwon City and Korea Tourism Organization has named this road as Sangsang-gil or Imaginary Road. And that is what I had set out to find in Masanhappo District in Changwon City in the province of Gyeongsangnam (South Gyeongsang). It would have remained as its name claims it is—imaginary—had I not seen it with my own near-sighted eyes. The quest for this Imaginary Road was not included in my itinerary, but a small pocket of time had presented itself, so off I go some 45 kilometers west of Busan, in a city so unfamiliar to non-Koreans (well, at least according to my research which didn't yield many useful results) that it was a miracle I found my way to this little walk of...fame? 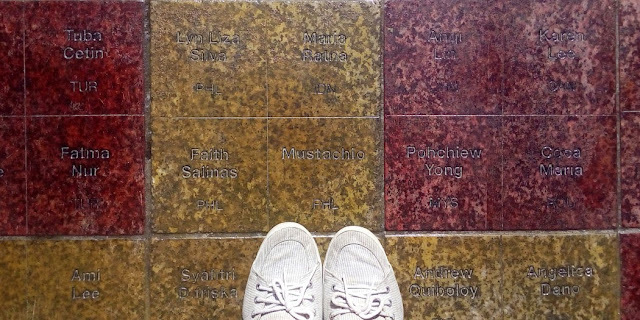 Yes, just to see my name engraved on a 6" x 6" tile was the only reason why I went out of my way and out of my itinerary. Take Busan Subway Line 2 to Sasang Station, exit 3 or 5. From either exit, find Busan Seobu Intercity Bus Terminal. Buses headed to Masan in Changwon City depart every 10 minutes. One way ticket costs KRW 3,500. The trip takes 30 minutes. From Masan Bus Terminal, cross the street and find the bus stop for Bus 800. Tell the driver you're going to Sangsang-gil—or if he doesn't understand, you might want to show him this: 상상길(불종거리로). He will drop you off at Samsung Saengmyeong Bus Stop. From the bus stop, walk along Buljonggeori-ro for about 200 meters, then on your right you will find Sangsang-gil (Dongseobuk 10-gil). The first thing that greeted me, telling me I was in the right place, was the Buljong Arch with its bell. In the past, the bell was rung to alert people when there was a fire. And then a few steps past the arch, I found my walk of fame: Sangsang-gil. I proceeded to walk along the center of it, feeling like a star. Not. I proceeded to walk along the center of the colorful road of 23,000 names with my head down. To find my name. On tile 135F. Moving along and resisting the food temptations, I found art and lots of it. I found art on roads. Art on walls. Art on shop signs. Art on shop displays. I had found myself in Changdong Art Village. 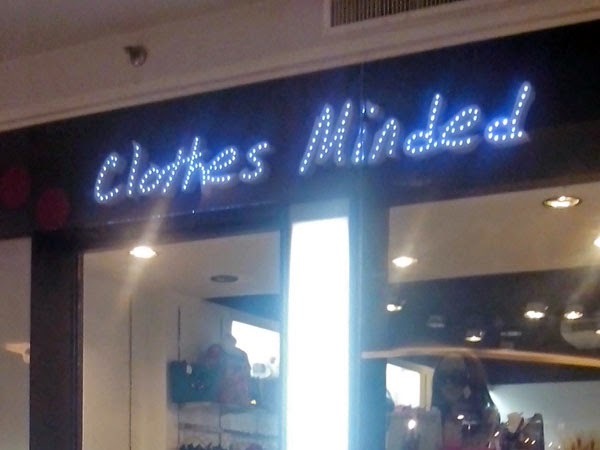 Shop signs are a work of art too! I found my name. I found food. I found art. I found that this place deserves more than the few hours I had spent in it. You would think by now I'd be choking to death in history, but no, I still had a dose or two as self prescription left. After five days on the northern part of South Korea, I packed by bags and hurried to Seoul Station to catch the KTX, Korea's high speed train. No, not KTX 101, the 515AM Train to Busan, but the KTX 111 which was scheduled to leave at 7AM. I had intentionally booked the 7AM so I won't have to wake up too early. And wake up late I did because, although I had set my alarm to 545AM, I had forgotten to revert it from silent mode. Like the zombie in Train to Busan, I stumbled onto Car #8 of the KTX at the last minute, but Busan wasn't my final destination, it was Daegu (Dongdaegu/East Daegu Station), where I would transfer to the Daegu Metro/Subway to go to Seongdangmot Station and at exit 3 of Seongdangmot Station, find Daegu Seobu Bus Terminal where I would find the bus headed for Haeinsa Temple, home to another UNESCO World Heritage Site. 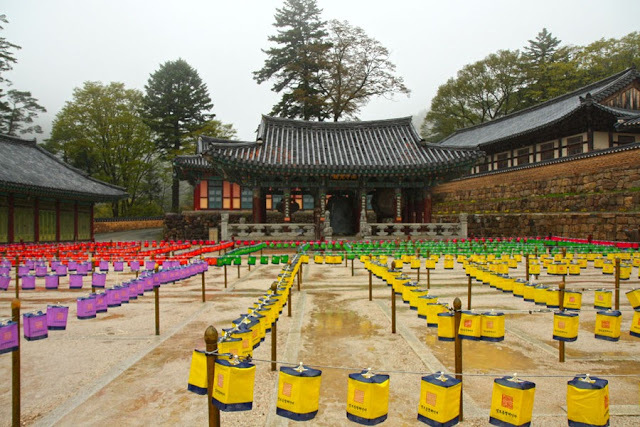 Haeinsa Temple is located in Hapcheon County, in South Gyeongsang Province (Gyeongsangnam-do). Throughout the hour and a half bus ride (KRW 7100 per way; bus leaves every 40 minutes), a few people got on and got off and most of them senior citizens. A nice elderly lady on the opposite aisle talked to me in Korean and though I did not speak her language and she did not speak mine, we understood each other (because I was the only foreigner on the bus, it was clear to her that I was headed to Haeinsa Temple and that I was traveling alone, and I guessed her questions were along those lines). As we neared the bus stop for Haeinsa Temple, the nice elderly lady turned to a lady two rows behind me (who I am sure was a stranger to her too) who was also headed to Haeinsa Temple and she asked her to accompany me. The lady kindly agreed and I am grateful she did for the way to Haeinsa Temple from the bus stop wasn't that straightforward. She was in full hiking attire and walked quite fast. I tried to not to let my heavy breathing be too loud and be obvious that I was out of shape as we were making small talk (she told me she was from Busan and was here to hike the mountain, Gaya, on which the temple sits). I was embarrassed for being such a slow poke, so once we reached the temple, I thanked her and told her I'd stay behind and look around. carp-shaped wooden drum, and cloud-shaped metal plate. 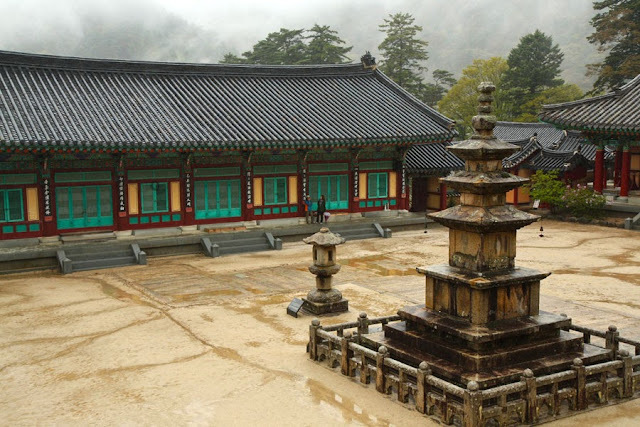 Haeinsa Temple was founded in the year 802. 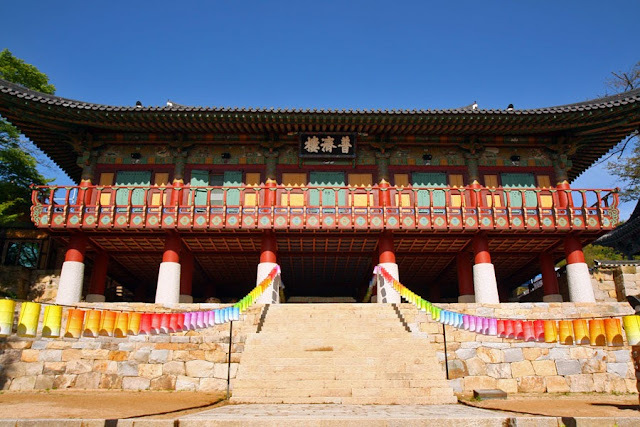 It has several buildings but it is the Janggyeong Panjeon Hall and what's in the hall that has been inscribed in the UNESCO World Heritage list. 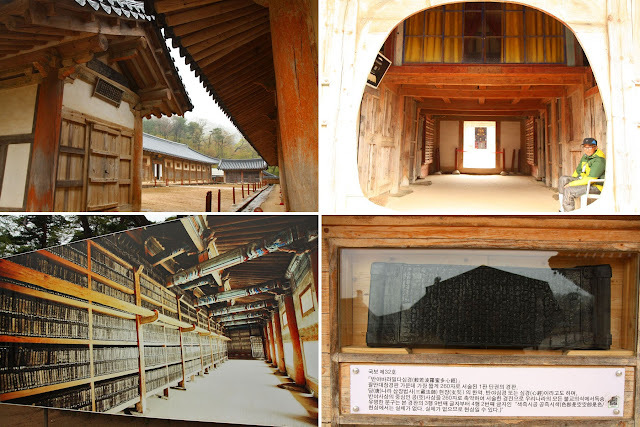 The Janggyeong Panjeon Hall is a wooden building in Haeinsa Temple that houses the 13th century Tripitaka Koreana consisting of more than 80,000 wooden blocks that have been carved with the Buddhist scriptures. 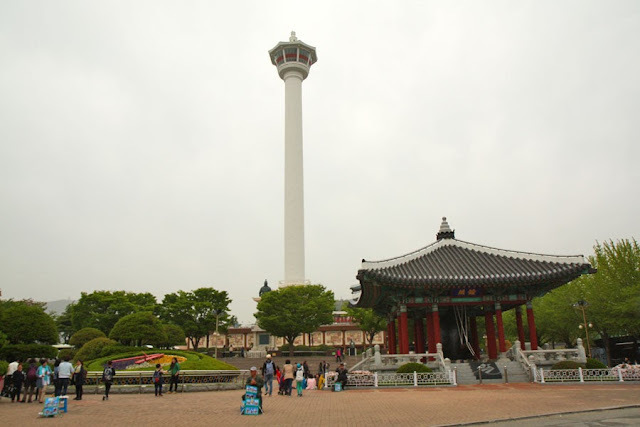 What is amazing about this building is that it was designed (air circulation, moisture resistance, controlled temperature) in a way that it could protect the Tripitaka Koreana for thousands of years. The Janggyeong Panjeon Hall can only be viewed from outside and the Tripitaka Koreana can only be glimpsed through the wooden slats of the building. 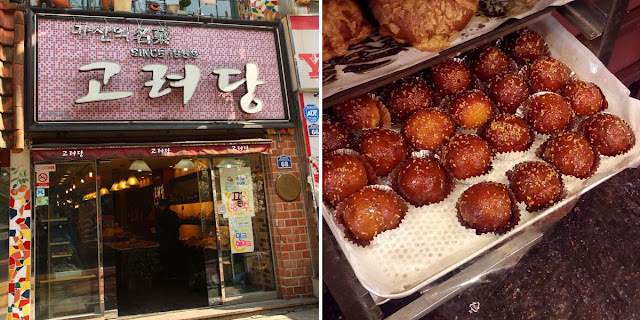 There is one displayed outside (encased in glass) along with a photo of what is inside Janggyeong Panjeon Hall. My stomach was rumbling after about two hours of exploring the temple: it was time to go back to Daegu and find a bus to Busan. * If you have your luggage with you, you may want to leave it in the lockers at Dongdaegu Station or Seongdangmot Station. 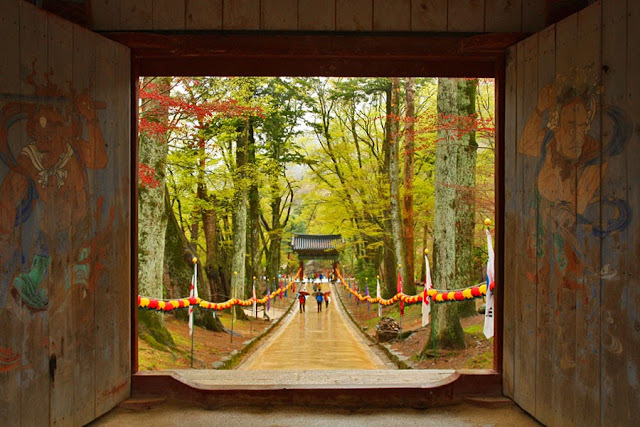 * Temple Stay is offered at Haeinsa Temple. Take the Daegu Metro/Subway to Seongdangmot Station, exit 3. Once you are out of exit 3, turn around and you will find Daegu Seobu Bus Terminal. Buses going to Haeinsa Temple leave the terminal every 40 minutes. One way ticket costs KRW 7,100. * From the KTX Dongdaegu Station, you can take the KTX (50 mins, KRW 17,100) or ITX (1 hour 15 mins, KRW 11,100) or Mugunghwa (1 hour 40 mins, KRW 7,500) to Busan. * Alternatively, you can also go to Daegu Station and take the ITX (1 hour 20 mins, KRW 11,400) or Mugunghwa (1 hour 40 mins, KRW 7,700) from there. * From the Metro/Subway Dongdaegu Station, take exit 4 and cross the street to find DongYang Express Bus Terminal. One way ticket from Daegu to Busan costs KRW 9,700 (1 hour 20 mins). Daegu has many bus terminals and it was thanks to this four-year-old blogpost that I found the right ones.